The first set of students to enrol at Funke Akindele's 'Scene one school of drama' graduated in Lagos on Thursday. The occasion saw the likes of Uche Jombo, Eldee, Tiwa Savage, Dammy Krane, Eniola Badmus and several others who were there to show their support to the actress. Some of the outstanding students in major courses were presented with prizes. Each of them automatically would get a prominent role in Akindele's next flick, Everybody Loves Jenifa. Italian government has cancelled the contract with Lampedusa Accoglienza, the cooperative that was running the detention centre in Lampedusa where migrants were forced to strip naked in mixed company while being sprayed for scabies. The footage, which was aired on Italy's Rai 2 television channel, was filmed secretly on a mobile phone by a Syrian asylum seeker. Senator Iyabo Obasanjo in a letter to her father accused him of having an egoistic craving for power and living a life where only men of low esteem and intellect thrive. "Davris beauty centre is open for business. Come let's give u the celebrity touch for ur Xmas celebration. It is the "DAVRIS BEAUTY CENTRE" - a world class unisex salon with exquisite finishing in Pedicure and Manicure treatments as well as assorted beauty products including but not limited to perfumes, human hair and make-ups. The location is both accessible and conducive for beauty business. We are at 4, abanikanda st off haruna st ogba, Ikeja Lagos state. Come get that unequalled and posh celebrity touch to a sparkly beauty. The CEO, Doris Simeon, shall be on hand to personally usher you in. Pedestrians passing by a building in Clinton Hill, Brooklyn last week probably thought the dancing woman was simply exercising. But police say the woman was ‘twerking’ to serve as a distraction while her partner-in-crime was inside stealing packages. Surveillance video shows the woman twerking just outside the building for nearly an hour — only pausing when residents walked by. One resident later reported her packages missing. Police are still searching for the suspects who made off with several packages. Documenting breast implants and liposuction surgeries online is nothing new, but rarely do you see a black woman being so open about cosmetic surgery. Paul Walker died from "combined effects of traumatic and thermal injuries"... this according to the death certificate obtained by TMZ. The official cause of death is significant ... it means Walker wasn't killed from the impact alone. He also burned to death after the crash. The L.A. County Coroner released Paul's cause of death earlier this month. The man who was driving the 2005 Porsche Carrera GT, Roger Rodas, also died from "multiple traumatic injuries," but the Coroner did NOT list burns as a factor in his death. Both death certificates reveal the men died quickly ... according to the doc, the time interval between the impact and their deaths was "rapid." Both Walker and Rodas were killed in the November 30th crash in Santa Clarita, CA. The cause of the accident is still under investigation, but as we reported, officials suspect plastic bumps in the road may have caused Rodas to lose control. It's easy to see why Columbia Records wavered on a marketing budget for Beyonce's risky new self-titled album. Rather than pay for the marketing out of her own pocket, Beyonce cut out the middleman and released her new album straight to iTunes late Friday. The hard-core CD breaks every taboo for a Grammy Award winning pop singer who built her career on family values. Beyonce takes huge risks with sexually aggressive lyrics that would make a pr0n star blush. Several readers emailed to express their outrage. One loyal reader plans to create a Change.org petition urging Columbia Records to drop the star. President Obama’s lies have earned him the less-than-prestigious ‘Lie Of The Year’ Award, CBS News reports. It’s not exactly the Nobel Peace Prize, but at least Obama won’t end the year without being recognized for some small achievement. Chris Brown is in trouble ... again. The judge in the Rihanna beating case has just REVOKED his probation because of the fresh assault charges filed in Washington D.C. The judge did not remand Chris into custody, because hizzoner was impressed by Chris' progress in his anger management rehab. The judge will hold a hearing on the matter in February, and it's possible he could sentence Chris to time in the pokey. The judge also ordered Chris NOT to use medical marijuana for the time being. TMZ broke the story ... Brown was popped in Oct. for felony assault -- later reduced to a misdemeanor -- and the L.A. County Probation Dept. launched an investigation. Three years after marrying a 14 year old Egyptian girl named Marian, which was widely protested in Nigeria, former Zamfara state governor and serving senator of the federal republic of Nigeria, Sen. Ahmed Yerima, has reportedly divorced her to marry a new wife, City People reports. 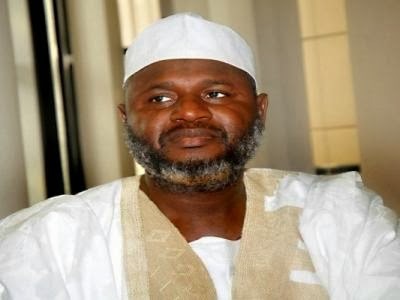 According to the magazine, Yerima and four men, said to be members of the Zamfara State House of Assembly were in Egypt a few weeks ago for the wedding fathia of a new bride said to be 15 years old. Marian who is now 17 and a mother of one, is believed to be the daughter of the former governor's driver whenever he visits Egypt. The reason he divorced her is to enable him take a new wife as he's not allowed more than four wives. The new wife is also Egyptian. The police in Ogun State have arrested a pastor with a first generation pentecostal church, Daniel Samuel, for allegedly attacking his wife, Patience Samuel, with machete and inflicting deep cuts at the back of her neck. The pastor allegedly attacked his wife over her alleged persistent failure to attend prayer meetings and other church programmes. Our correspondent gathered that 45- year-old David, who became the pastor of the Ode Remo branch of the church about a year ago, had travelled to Owode-Egba in Obafemi Owode Local Government Area, where his wife works and allegedly hit her with the machete that left her injured. Punch Metro learnt that the pastor had accused his 42-year-old wife of shirking in her dedication to church programmes. We the north of Nigeria are ready for a separation process, which will either involve regionalism or total disintegration. Idris Musa also commented on the subject: Break up is long overdue. Why can some have freedom to perform their religious rites while some are deprived? I can’t remain at home on Fridays like Christians do Sundays, Marital dossiers are only emphasized for only one wife & four children. Economically, we are considered parasites because they refused to revamp agriculture. They refused to explore oil deposits in more than five places in my region. Let us break so that we have fresh air. Former President Olusegun Obasanjo yesterday met behind closed doors with the suspended national secretary of the Peoples Democratic Party (PDP) Prince Olagunsoye Oyinlola and some leaders of the party in the South West zone at his hilltop residence in Abeokuta, the Ogun State capital. The meeting was attended by former Ekiti State governor Segun Oni; former secretary to Oyo State Government, Chief Olayiwola Olakojo; Chief Yomi Finnih; former Lagos State deputy governor, Mrs. Kofoworola Bucknor-Akerele; and factional chairman of Ogun PDP, Senator Dipo Odujinrin. Others were Prof. Soji Adejumo, Chief Felix Ogunwale, Senator Akinlabi Olasunkanmi, Gen. Tunji Olurin (rtd), Chief Abiola Ogundokun and former Minister of State for Defence, Adetokunbo Kayode (SAN) and Otunba Oyewole Fasawe. No fewer than 40 chieftains across the six states of South West zone attended the meeting. A lot of people have said the former Governor is bleaching. In this new interview, a Punch reporter asked him if he was bleaching, and the former Governor, said, write it there that I said you are silly. Did you know me when I was black? I don’t know what gave people that impression, he said angrily. Find part of the interview below. You talked about quality, is it in terms of your dressing too? In terms of everything, Akala is a man of quality. Look at me, I am a man of quality, with due respect. I use quality materials. Is the use of jewelry part of it too? Yes, I have been using jewelry as a young man. Do you know what they called Ghana before, Gold Coast. I lived in Ghana and that was where I got used to it early in my life. We make statement with our looks in Ghana. In those days when we were in Ghana, your wife bathed you and took care of you. I am from Ghana, so I have been using jewelry (he sends for an album). I want to show you some pictures. Pictures that I took some 40 years back, you would see chains on my neck. Look at my hand chains and rings in this picture. That is how I was brought up. Even when I was in (police) uniform, I wore my chain with my uniform.